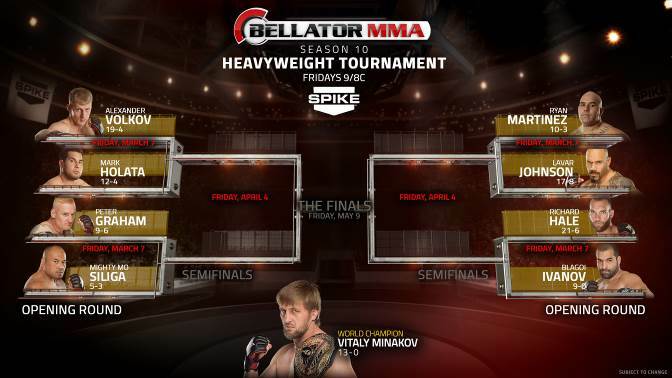 Should we care about Bellator 120? We must progress down a circuitous pass to find an answer. I mean, Michael Page is as electric as it can get in the cage. His highlight reels look like they were ripped straight from a mash-up of Street Fighter and Mortal Kombat. I know very little about his opponent Ricky Rainey, but this one seems like a set-up for Page to channel his inner Liu Kang and start off the PPV with a bang. Should we care? Sort of. If you like video-game inspired MMA action, this tilt is for you. Is there really a winner here? Should we care? No. Hop on Fight Pass and watch Mark Hunt v. Bigfoot Silva or something relevant instead. I don’t know what sort of sham athletic commission sanctioned this next fight. Tito Ortiz has no business partaking in one more second of legitimate MMA competition. Bellator is attempting to capitalize on his ‘common man’ name recognition, but it is sad they are trotting him out like this. Shlemenko will be at a sizable disadvantage in the weight department, but I fully expect the explosive Russian striker to nearly decapitate Mr. Ortiz. As a fan of the sport, it is going to be tough to watch this one. Should we care? No, not at all. This fight is a marketing ploy by Bellator. We should care for Tito Ortiz’s long-term health and not sanction him to get his massive dome kicked in. Ah, the ol’ “Interim Title” trick… When Lightweight Champion Eddie Alvarez dropped out of this fight, this card lost most, if not all, of it’s integrity. Chandler and Alvarez are both close to being top-10 Lightweights in the world. They are Bellator’s biggest poker chips. That’s for dang sure. 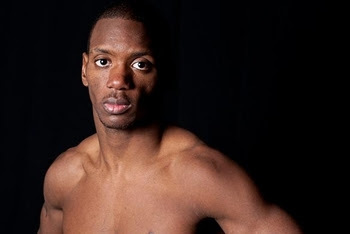 What happens if Will Brooks somehow defeats Chandler and Alvarez/Chandler III is scrapped for good? This can only go wrong for the Bjorn and company. Will Brooks has won three in a row, but not against any noteworthy competition. In all likelihood, Chandler will steamroll him. Should we care? For sure not. For Eddie Alvarez’s sake we should hope Chandler wins so he can have his trilogy fight and pack his bags for the big leagues. You all know I am a Rampage fan boy. He is the reason I became a fan of this sport and his recent spat with any and every authority figure he has encountered have really soured me on the former UFC Champ. His reality show was a miserable failure, yet he has seemed somewhat revitalized in the Bellator cage. This fight with King Mo is exactly what the Viacom brass envisioned when they signed both of these guys to lucrative deals. This is booked as a ‘grudge’ match, but whatever heat there was between the two because of that bus ride so long ago has mostly fizzled. They squashed their beef years ago and are playing it up for the cameras now. That confrontation in the cage after Rampage’s last win was so contrived it hurt me to the core as a former Jackson defender. As for the fight, I actually think Rampage has a shot to win here. Mo just hasn’t looked right since that infection nearly took his leg. We know Rampage has power and if you stand in front of him long enough, he will connect with a winging hook and put you to sleep. If Mo is smart and attempts to keep his distance and control Rampage with his superior wrestling, he could likely grind out a decision. But now, now… This is Bellator we are talking about, Bjorn has no doubt told these two to ‘Stand and Bang’. A flashy KO in this fight will do much more for the winner’s career than a victory against Light Heavyweight Champ Emmanuel Newton later in the year. 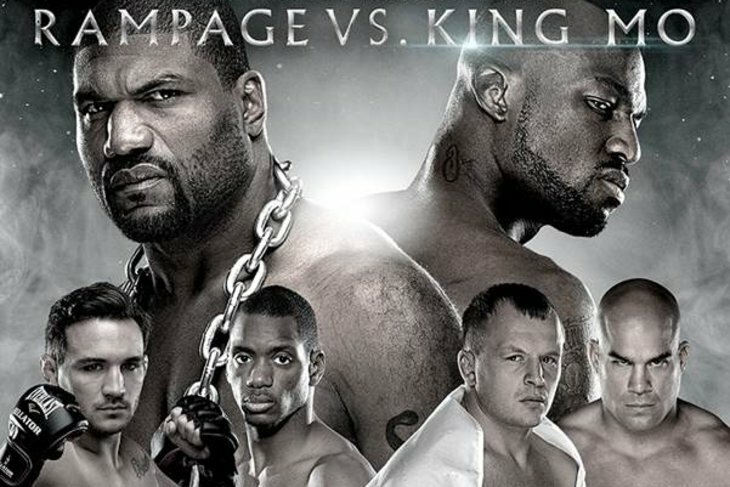 Look for Rampage to put Mo to sleep in this one and let out another howl for the Spike TV cameras. In all, as fans of mixed martial arts, we shouldn’t care about this card one iota. If I find myself at home tomorrow night, will I tune in and chirp back and forth with the Barstool bloggers? Surely*, but I’m not expecting any MMA brilliance to be on display, just pure entertainment. This entry was posted in Commentary, MMA and tagged Barstool Sports, Bellator 120, King Mo, mma, Rampage Jackson, Tito Ortiz. Bookmark the permalink. 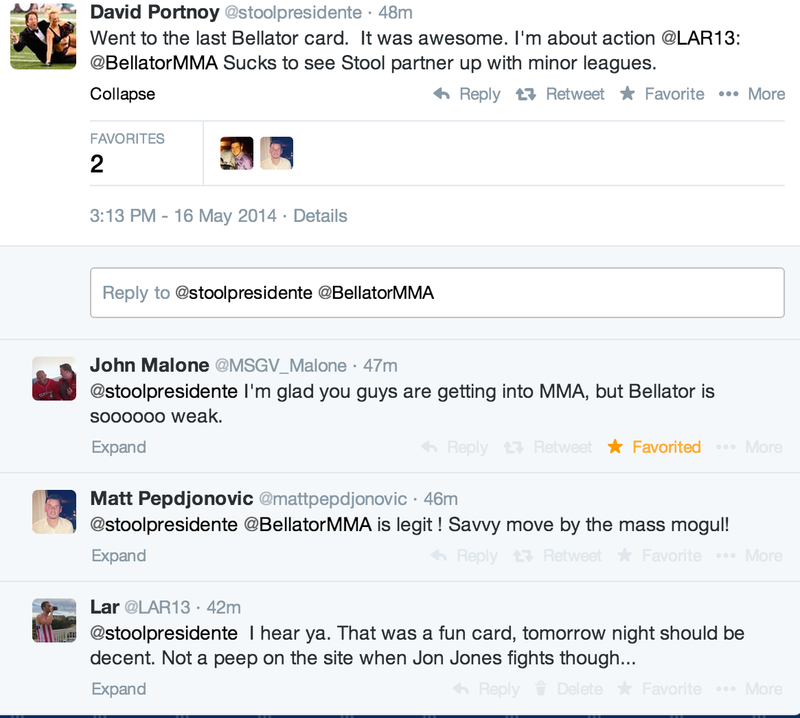 2 Responses to Should we care about Bellator 120?